RayKo Photo Center will be hosting an exhibition of photographic work made without cameras in our main gallery. This is an open call for creations of your imagination, photograms, scan portraits, lumen prints, chemigrams, and laptopograms, just to name a few processes. All work must be original and works previously shown at RayKo are not eligible. 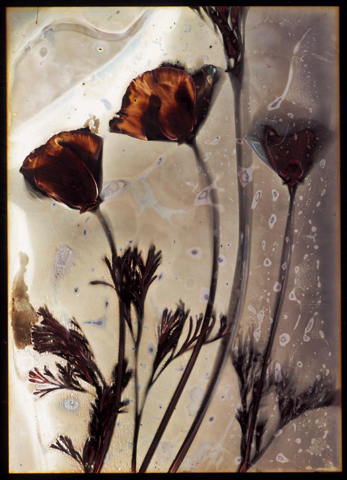 Ann Jastrab, MFA, is a fine art photographer, master printer, and teacher. She is currently the Gallery Director at RayKo Photo Center. The RayKo Gallery offers over 1600 square feet of exhibition space and presents eight to ten shows annually featuring nationally recognized artists. Ann regularly participates as a juror and reviewer for a multitude of organizations: the SF Arts Commission, Academy of Art in SF, Artspan, SF Art Institute, Fotofest, Photolucida, Review Santa Fe, Review LA, PhotoAlliance, SPE, Fotovision, Click646, and Critical Mass. She has also taught at the Maine Media Workshops since 1994. Online submissions may be uploaded until 11:59pm, May 1, 2011. Snail mail submissions must be postmarked by May 1, 2011. Any late submissions will not be reviewed.